Forever 21 is the Style Heaven for the fashion lover on a budget. They merge style, quality, and affordability all in one. Being the Forever 21 addict that I am, (checking for New Arrivals several times throughout the day) there is a category featured on the site called Fabulous Finds. It displays items that are discounted below the regulary priced items. This is a great place to search for a some of those must have items while still watching your budget. 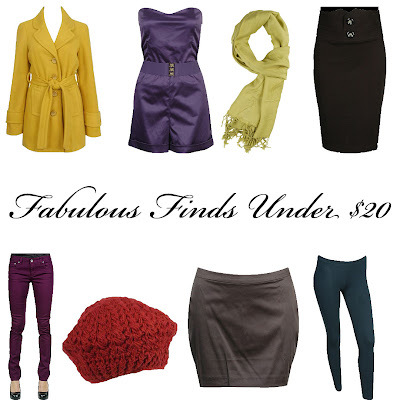 Here are just some items that are "Fabulous Finds". Love the blog! Thanks for subscribing to mine! I love how F21 keeps their eyes fixed on trends, and it's beyond convenient that their stuff is so affordable, drool!